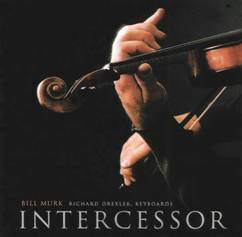 Bill Murk (violin) and Richard Drexler (jazz keyboard) team up to create a contemplative musical environment for communion with the Lord. Together they have achieved a delicate balance between reverence and passion, while exploring new harmonies from the jazz realm. Intercessor is sure to be a desired addition to any Christian music library.